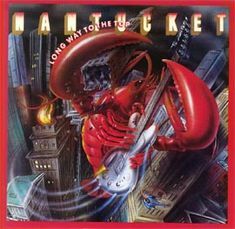 Due to the fact that I didn’t hear this album until the August of 1981, I have always assumed that “A Long Way to the Top” by Nantucket was released in that year. I now know that it was released in 1980. The title cut is a cover of the AC/DC classic and was recorded as a tribute to the passing of Bon Scott. It won the band a supporting slot with AC/DC on the “Back in Black” tour. That must have been one hell of a concert and I wish I wasn’t on sea duty at the time. Like the Johnny Van Zant Band, Nantucket were yet another great Southern Rock band who were around at Southern Rock’s peak of popularity but never really got recognised outside the Southeast of the U.S. At least, Johnny Van Zant could be identified with his famous late brother but this wasn’t the case for Nantucket. I admit, if I hadn’t been down south at the time, I probably would have never heard of them either. Fortunately, for me, I did get to hear this wonderful album. First, the tribute to Bon is a very fitting one, Nantucket do a splendid job covering this long time AC/DC gem. Lead singer Larry Uzzell does try to sound like Bon and while no one can ever duplicate Scott, his efforts are noteworthy. The rest of the album doesn’t disappoint either but is played in the great tradition that made Nantucket a name for themselves in the South. “Time Bomb,” “5o More,” “Living With You” and “Rugburn” are all great songs. The one standout track, other than the title cut, for me is “Too Much Wrong in the Past.” That is a classic rock song. I love the way that song fakes the listener in with the piano and lead guitar as if it’s going to be a power ballad and then just explodes, very nicely done. Nantucket were another band that should have gotten more world wide attention but unfortunately didn’t. This album proves that they were as good as many of their Southern contemporaries. Still, I would have loved to see them open for AC/DC. You are currently browsing the 80smetalman's Blog blog archives for April, 2014.